All of these designs are made in a flat-pack style and go together with no hardware. They simply slot together with a rubber mallet, and are held tight with friction. 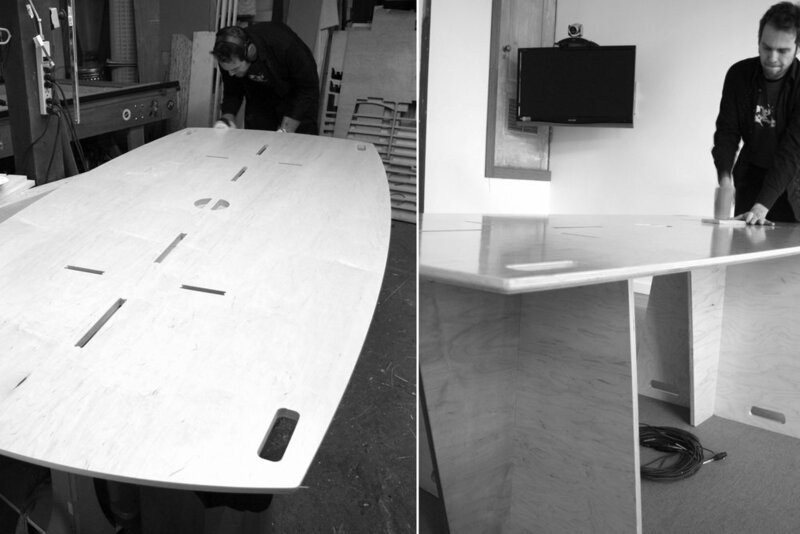 These large flat-pack tables are also set up as meeting tables for the executives. 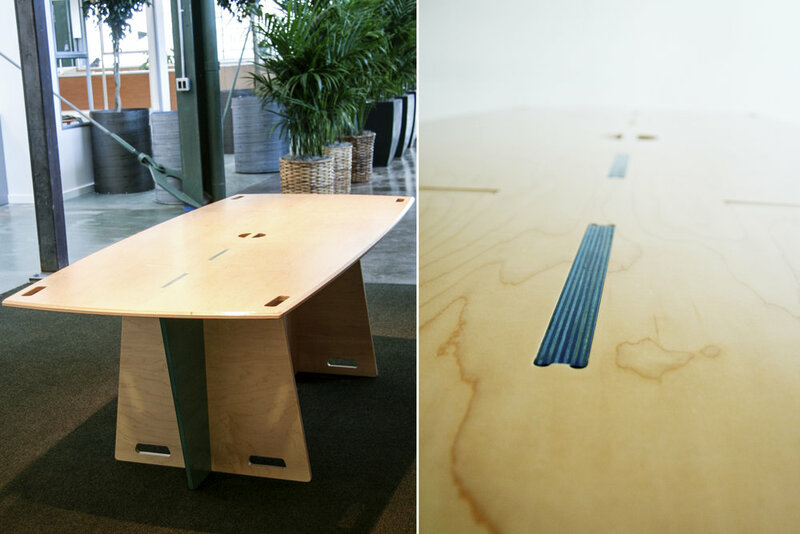 Two different bench designs propagate the office to complement the tables. 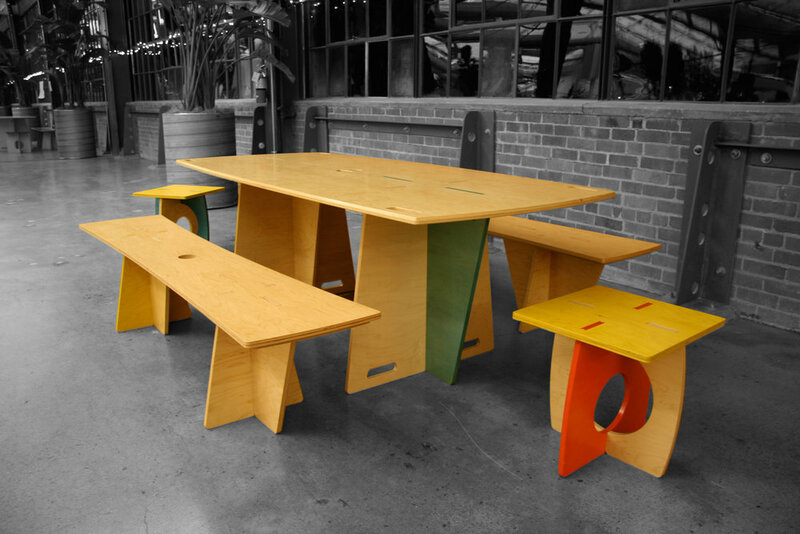 The colors of the legs in all of these tables comes through into the top, showing the construction and adding a delightful splash of color. Our mission? To warm up this ‘too corporate’ office with cool, informal seating areas!